There are many types of single-ply roofing systems on the market. These types of roofing systems are flat and polymer-based which forms a single protective layer. Each section is sealed by the joints, whether it be by heat, mechanical, or adhesive means. Single-ply roofing is popular because it is cost-effective, flexible, and durable. Here at Capital Coating, we offer single-ply roofing repairs, restoration, installation, and replacements to clients in Lebanon, PA. Give us a ring at (717) 442-0979 to schedule a free onsite estimate. This kind of single-ply roofing is often referred to as rubber roofing. An EPDM roof is an elastic roofing membrane that is very affordable and capable of lasting several decades with the proper maintenance. To get some more years out of your EPDM roof, get a quick and affordable roof coating to restore it. 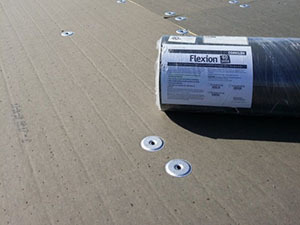 This type of roofing membrane is one of the most popular for commercial flat roofs. PVC roofs come in a variety of colors so that it can look nice on all different styles of buildings. 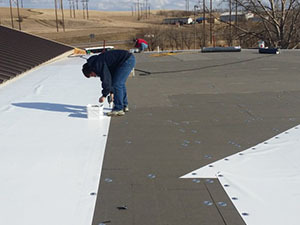 This flexible type of single-ply roofing is also known for being extremely chemical-resistant. This is a relatively new type of single-ply roofing that is quickly being recognized for its ability to make a building more energy-efficient. The white membrane reflects the sun. It’s considered the most environmentally-friendly option when it comes to single-ply roofing. This type of single-ply roofing has been around the longest. A PIB roof is capable of lasting well over 50 years when properly maintained. Plus, you can feel good about using this single-ply roofing membrane on your commercial roof because it is 100% recyclable. Capital Coating helps clients in Lebanon, PA with all types of commercial roofing services. Our guys have experience working on the different kinds of single-ply roofing systems. Whether you need a new single-ply roofing system installed from scratch or an existing single-ply roofing system repaired, restored, or replaced, we’ve got you covered with effective roofing services at competitive prices. Just give us a ring at (717) 442-0979 to find out more about us.